Roger A. Price manged to keep me reading from beginning to end without taking much of a break! I read this book in two sittings, even staying up most of last night to finish it! Detective Vinnie Palmer and TV reporter Christine Jones are on the trail of an escaped psychopath as he has leads them from one murder scene to another. As the pieces fit together and the frustrating chase to uncover the killer makes the conclusion very dramatic. The story line is incredibly believable, well developed, and riveting. One of the few in recent years where I could see the story developing around me like I was watching a movie. 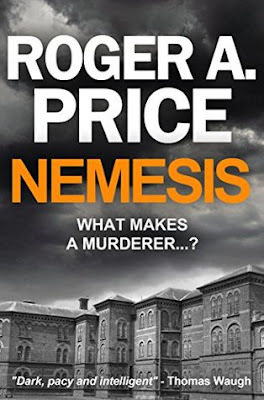 Thanks so much for the great review of Nemesis, so glad you enjoyed it, much appreciated, Roger.